Ideal to use in the classroom when learning about number and skip counting by twos, fives and tens starting from zero. Select and download the design (full colour or black and white) for your class. Print, cut and laminate a class set. Use a paper clip to move along the number line as students count forward or backward. Make a larger copy for whole class work and/or a poster copy to use on the wall. 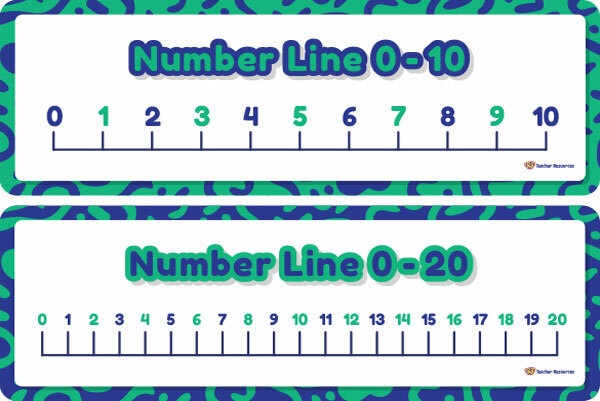 I only want the number line 0 to 20. These should be separated.